Regular readers will know that we underwent home renovations last autumn/winter. Now that the work is mostly done, and I’ve bought 90% of the furniture needed, I can now think about accessories. Last month, I was invited to an interiors event hosted by the lovely folks from Amara. And I was beyond excited to get some styling tips from the pros so that I could update my home. 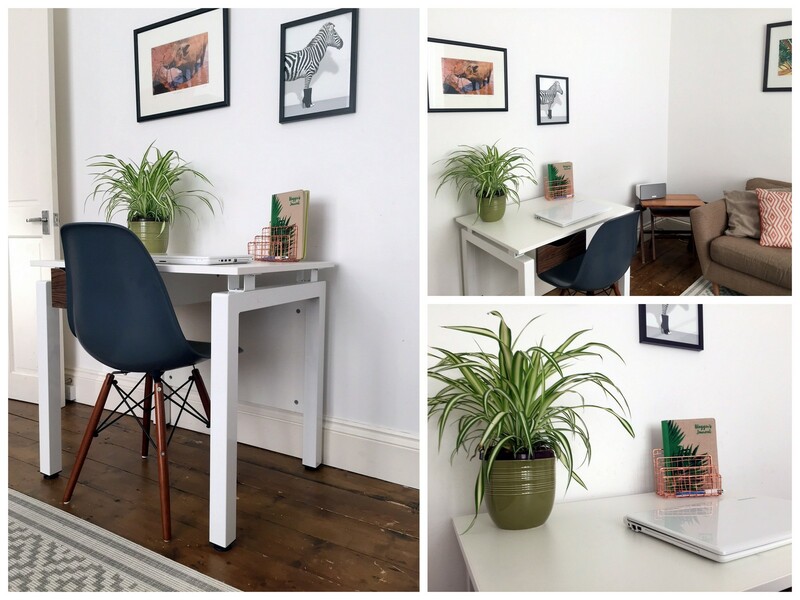 So of course I had to share my new found knowledge with you (as well as show you how I’ve styled a few products from Amara). Our day began with a talk and Q&A with Sam Hood. Sam co-founded Amara with her husband Andrew in 2005. 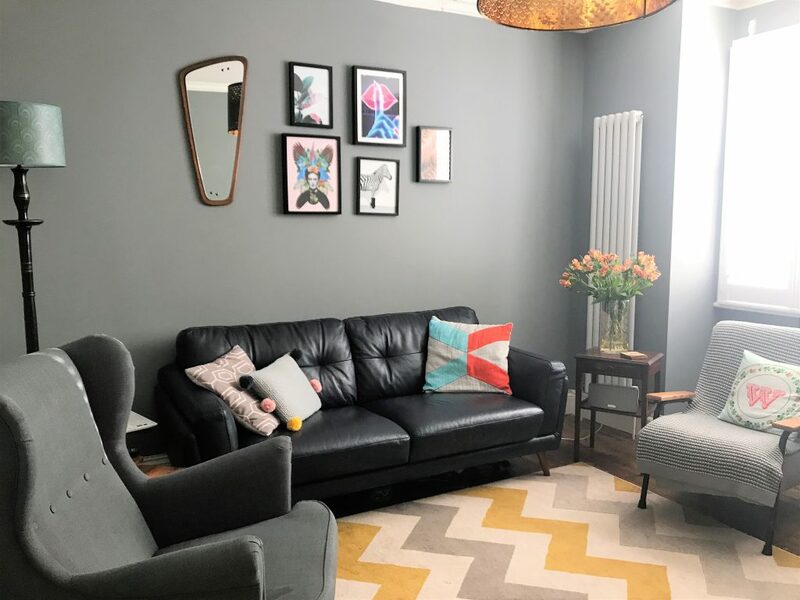 While it began as an interior design business, Amara then added a shop filled with amazing home accessories before becoming an online marketplace for amazing interiors. Amara now offers a wide array of beautiful pieces on their site, from home accessories to furniture to clothing. And they even offer design inspiration on their site for amateurs such as myself. Our house is slowly coming together. I’m taking my time with the kids’ bedrooms and the living room, but the guest room is almost finished. I’m still waiting for the new desk and the shutters to arrive, but I couldn’t wait to show you how it looks. Ta-da! This might not mean too much until you see the before photos. But the difference is huge. Happy New Bedroom To Me! And when I say new bedroom, I mean NEW BEDROOM. We didn’t just give it a lick of paint. We are nearing the end of a major home renovation project. There have been new windows, plastering, painting, new carpets and new furniture. I even switched bedrooms with my daughter. And as of yesterday, the bedroom was 95% finished (shutters are arriving in two weeks). So I thought I’d share the journey of our new master bedroom. Like I said, the bedroom was originally my daughter’s. The previous owners had painted one wall pink, and the door was painted black. Add crumbling plaster and green carpets that were about 30 years old, and the room was kinda disgusting. But no more (I wish I had more before photos, but the workmen started on the room earlier than expected). In my 20s, I was obsessed with shoes and handbags. I spent my 30s thinking about things for my babies. Now, in my 40s, I’m all about my home (okay, okay, I still like shoes and handbags). 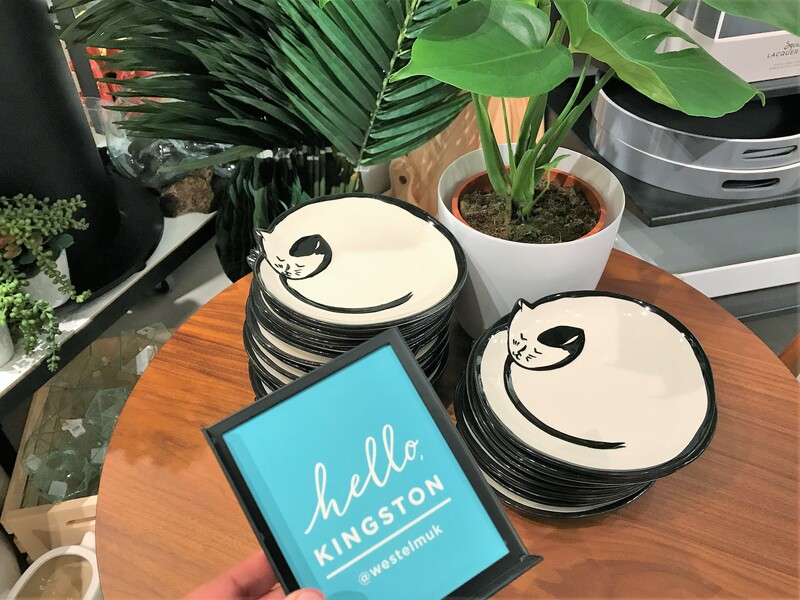 So I was thrilled when I heard that West Elm was opening their second UK store in Kingston-upon-Thames. And I was even more thrilled to be invited to the grand opening on the 8th December. Personally, I love mid-century modern. I like furniture to be comfortable and useful, but also interesting. West Elm is like my mecca. Even if you’re not looking for big pieces, or if you have a small budget, you are able to find accessories here that add a unique feel. They have some amazing plates, mugs and Christmas decorations that are both vintage and modern and oh so quirky. And despite West Elm being a chain, it’s not like you” end up having the same armchair or mirror as half of your friends (I’m looking at you IKEA). We have been busy at Californian Mum HQ (by HQ, I mean my house). We are currently in the middle of home renovations. 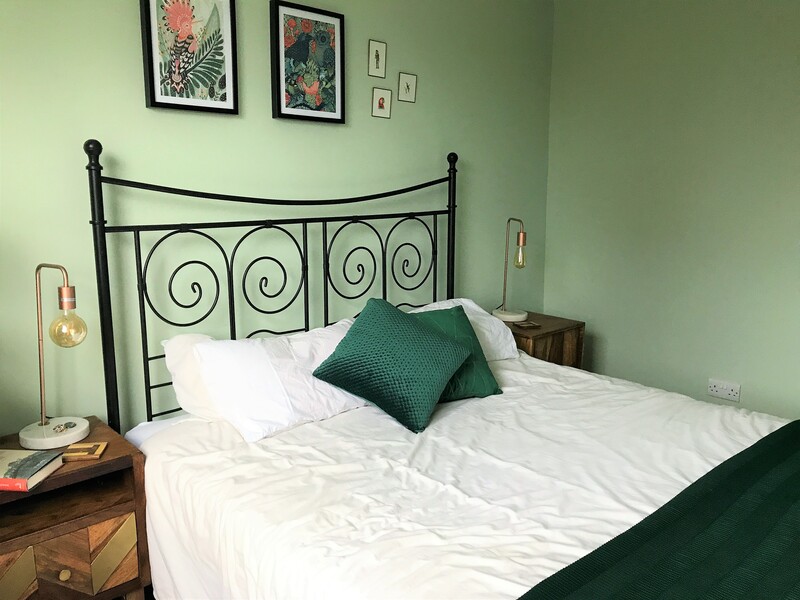 Although we have been having some major work done, we are also getting new furniture and giving the house a general update. Last month, we gave the living room a little update in the form of a new sofa and moving some furniture around. Our previous sofa was brown and boring. It was also not very comfortable, even though it was only three years old. And the top cushions were in a constant state of sag. Also, after some calculations, I realised that we had had four brown sofas over the past 14 years. Husband really likes brown sofas. But I decided that I needed some colour in my life. Isn’t it starting to feel like winter will never end? The Christmas decorations are gone and the house is feeling a bit blah. 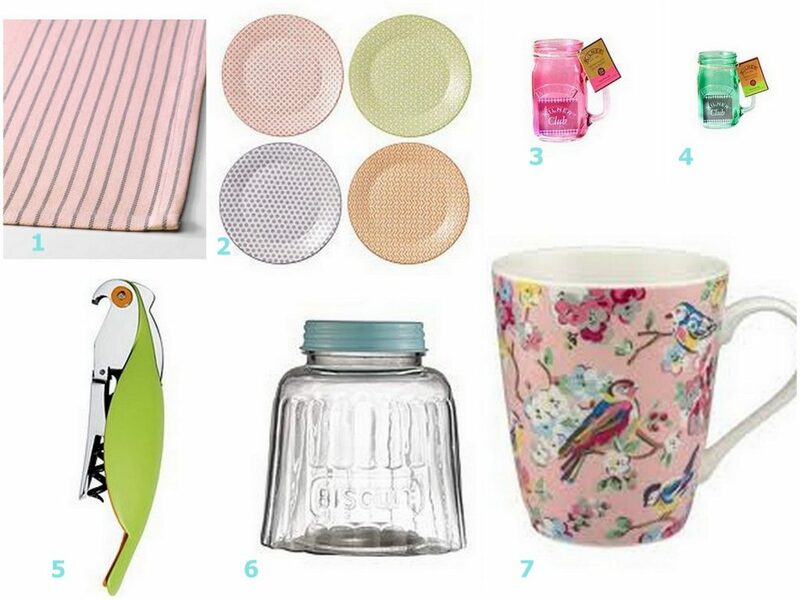 So I’ve been thinking about how I can cheer up the house, and I think some pastel kitchen accessories, glassware and tableware would help bring some spring into my house. 1. Pink Tablecloth – I love a tablecloth, and have one or two for each season. I had to throw a couple away recently because my children are animals and they wreck everything. So I prefer to buy inexpensive ones that are pretty but that I don’t care too much about ruining. I love this blush pink, with the grey stripes on the edge keeping it from looking too girlie. 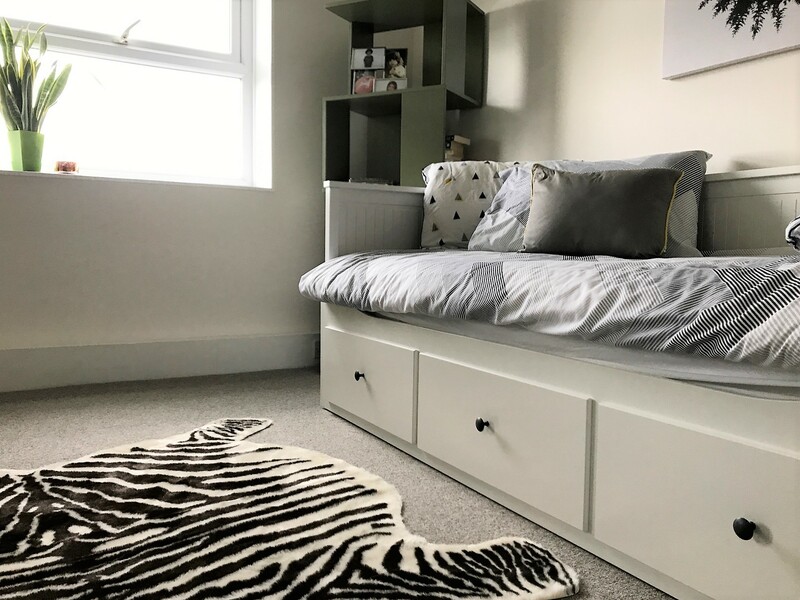 Does anyone else get the urge to re-vamp their bedrooms in the winter? I always see people on Instagram who have Christmas bedding and twinkly lights to transform their bedrooms into winter wonderlands. 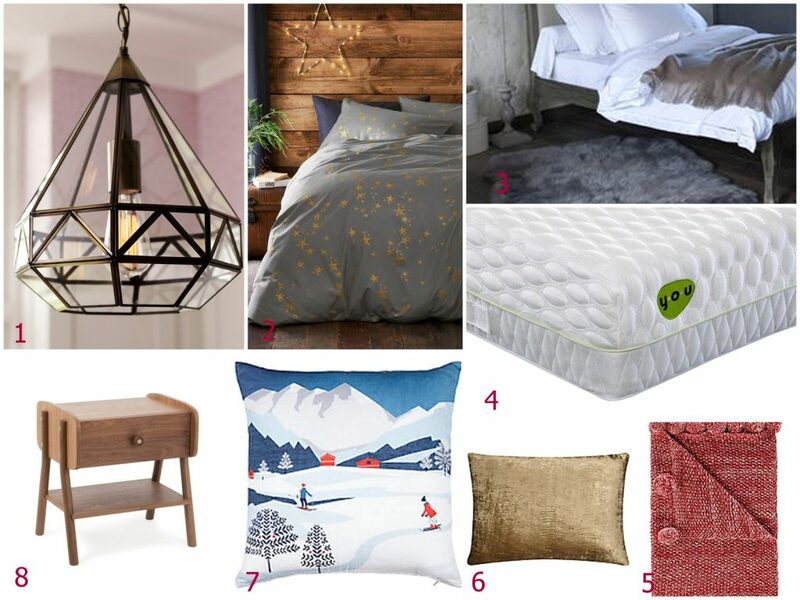 So I thought I would put together a little wishlist of items that would make my bedroom feel warm and wintry without looking like a child’s room. 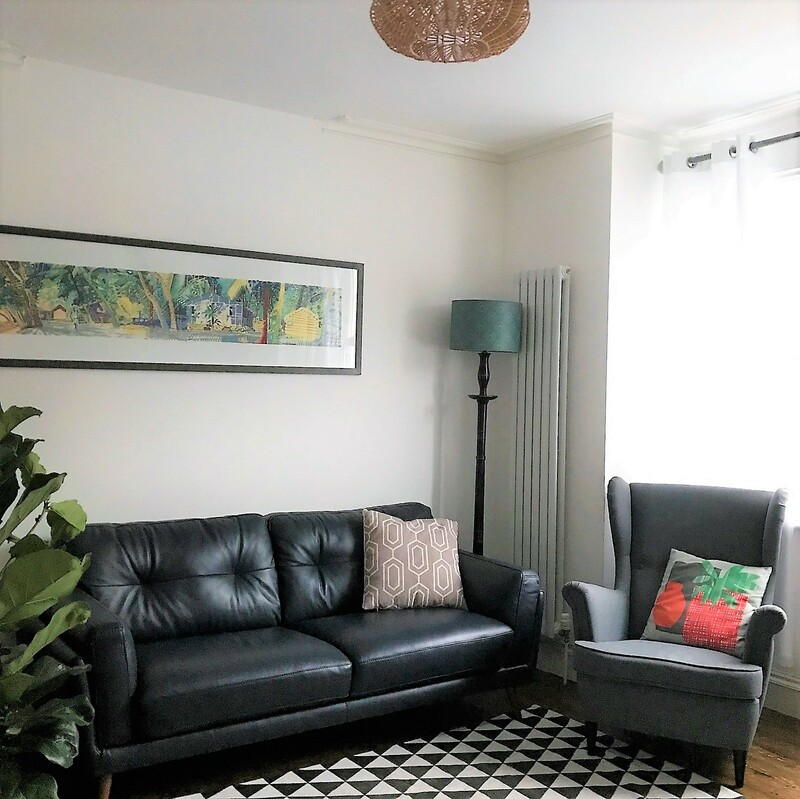 Now that the days are longer and the weather is (slightly) warmer, I’ve been trying to make the house feel less wintery and more summery. I’ve gotten new bed sheets, a new tablecloth and new dining chairs. But now my thoughts have turned to the living room. And I’m thinking of ways to make it lighter and brighter. Obviously there are lots of little touches I can make, but I’m also daydreaming of some big changes I can make. I am desperate for a new sofa. Although we bought a new one when we renovated the living room, almost two years ago, it isn’t that comfortable anymore. Plus the legs have never been that stable. Ugh. But I have seen some lovely leather sofas. 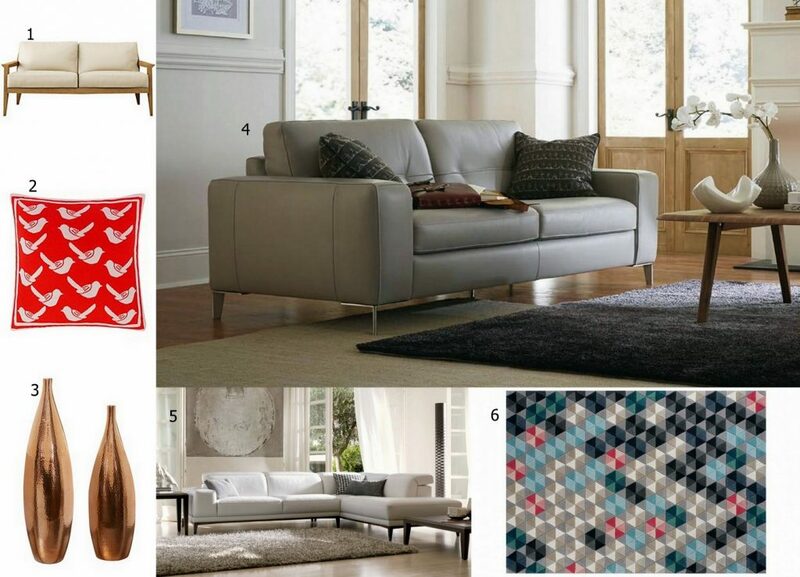 The top right grey sofa, from Fishpools, looks so soft. And don’t think me crazy for having my eye on a white sofa, but that corner sofa is so pretty. Corner sofas are so good for cuddling. And surely there is only a small chance that my son will write on it in permanent marker. Right? The sofa does come in other colours for people who are more practical. I’ll probably have to be more realistic, and will have to skip a new leather sofa and get some lovely accessories instead. I love cushions, and these coral-red bird cushions are fab. Not only are they bright, but they would work well throughout the summer and into winter. Another item that would work well all year long, are these copper vases. These are absolutely gorgeous and I think two or three displayed together would add quite the wow factor. 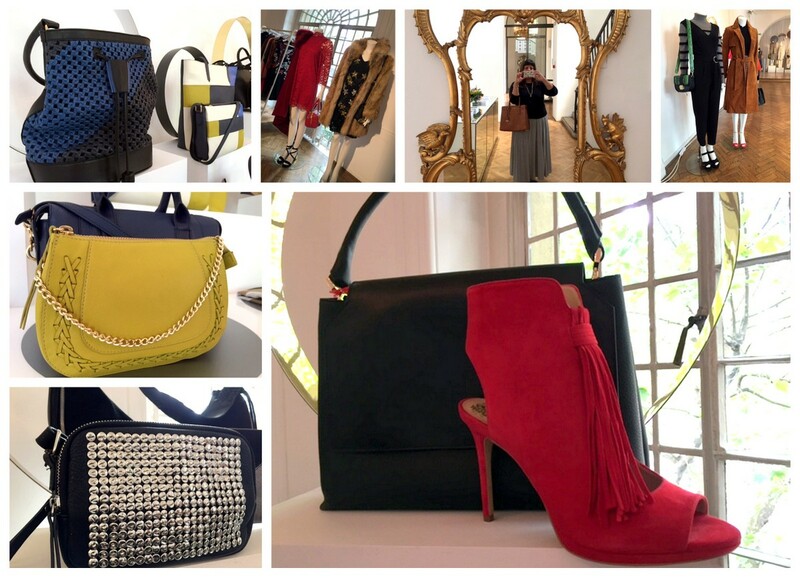 A couple of weeks ago I was invited to the House of Fraser autumn/winter 2016 press day. It is such fun seeing what is going to be in the shops and online in July/August. House of Fraser have really made me want the spring/summer to end. First, let’s start with the fashion. 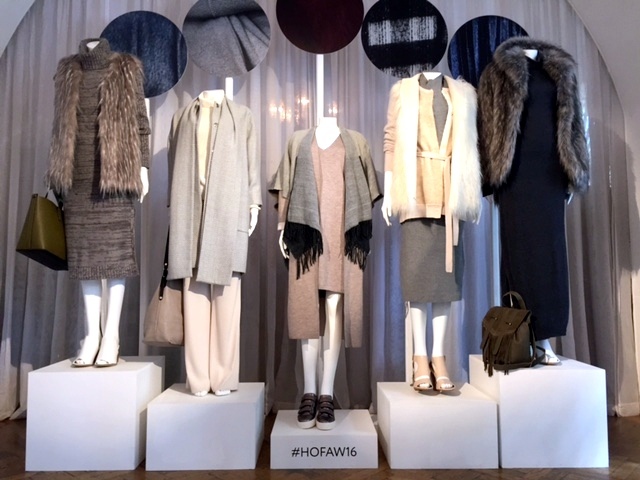 There were so many gorgeous knits – all in an array of colours: grey, navy, pink, yellow, camel and burgundy. There was suede and lace and fur and leather. Oh my! Autumn/winter is my favourite fashion season, and I am dying to wear some of these beautiful, and cosy, things.